Searching for the best garage door repair and installation service in Hampton, VA? You’re in luck—you found us! At Virginia Beach Garage Door Pros we take pride in being one of the leading garage door repair and installation contractors in our area. We work with homeowners and commercial property owners, including both small businesses and large corporations. We understand that businesses need to make money to survive and grow. Profits enable businesses to accomplish their missions and enhance our local economy. We know that as business owners you are focused on controlling costs so you can have more capital to inject into making products and services for your customers. We are on standby as a partner consultant to help you decide on how the choice of a quality commercial garage door can help your business thrive. Our technicians are effective in all aspects of commercial installations but are also accustomed to advising business clients on which model or make suits their operations. Once a common goal is established between our company and yours, we begin installation with an eye on the clock to ensure any interruption to business hours is limited. We can suggest a specific layout and design to help make your business run efficiently or alter installation to fit any unique operational requirement. Our recommendations are based on criteria such as workload, what kind of freight is passing through the door, security concerns and possible impact from natural disasters. All these factors affect which commercial door is appropriate for you. 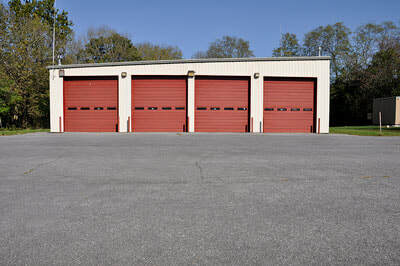 Cost of a commercial garage door should be an important factor when deciding which door is chosen. However, an in-depth approach to how and why a commercial door is being installed should also be a consideration when selecting a make or model. 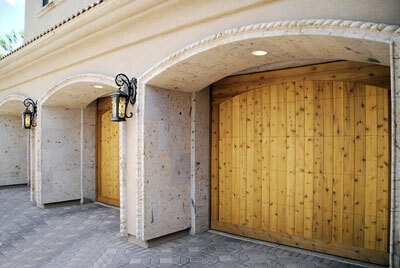 Garage doors are an entry way into a business. The number and value of assets stored on site in a facility should be considered when selecting the appropriate commercial garage door. Smaller businesses like a catering company that keeps limited inventory and tangible assets indoors overnight can opt for a more light-weight, value-priced door. Manufacturers with expensive equipment or businesses storing client goods, like a mechanic shop, may want to select a stronger, more secure door as part of their overall security and business continuity plans. In the end, safety should always be the main priority for your business. Keep that in mind not only when selecting a new door, but also in terms of your current overhead door. For example, one very important factor to keep an eye out for is if your door falls too quickly when lowering. This could pose a huge safety risk to both you, your employees and your customers. It's also important to listen for strange noises from your overhead door. Finally, if you’re still noticing that something just isn’t quite right with your door, it may be a problem with its automatic opener—and don't worry, we can help with that, too. Whether you need repairs for your Hampton, VA home's door, or you want to upgrade your commercial property, call our team at Virginia Beach Garage Door Pros.